The big picture: Iran’s alleged transfer of missiles and rockets to its clients in Iraq constitutes an escalation, indicating that Tehran is taking greater risks in response to U.S. sanctions enforcement. While Iran’s stated reason was to broaden options for retaliation, the deployment also empowers select Iraqi Shiite militias (who thus far have not been named) in the battle for influence in post-ISIS Iraq. Iran’s willingness to offer militias — and not the Iraqi state — these weapons is also a measure of its investment in these forces as agents of Iranian influence. Background: Iran’s ballistic missile arsenal is the biggest in the Middle East, as both James Clapper and Dan Coats, the current and former directors of national intelligence, have attested. Ballistic missiles play a key role in Iranian security policy, offering the regime a sense of confidence in its deterrent capabilities and opportunity to threaten rivals. Iran does not only produce and test surface-to-surface ballistic missiles, however. It also distributes them. In 2012, it was reported that the Assad regime in Syria used the Iran-sourced Fateh-110 missile against rebels. 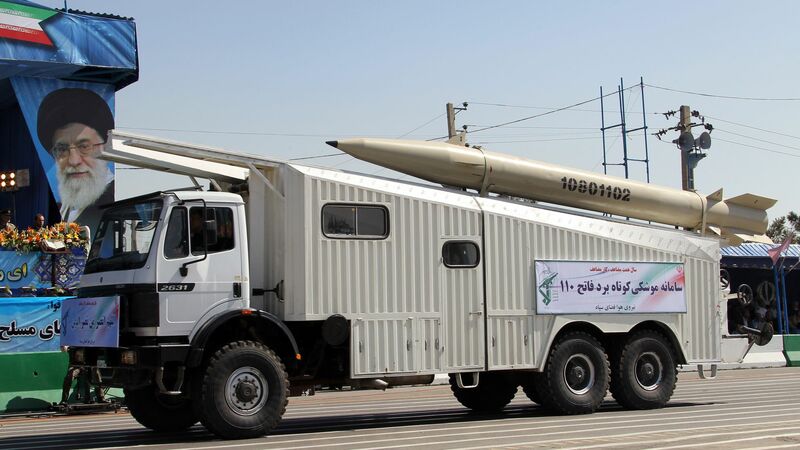 In 2014, a hardline Iranian outlet touted that the Fateh-110 was among Lebanese Hezbollah’s missile inventory. And in 2017, Houthi rebels in Yemen used an Iranian variant of a finless Scud missile called the Qiam-1 (or Burkan-2H) to retaliate against Saudi Arabia. The bottom line: The Iranian missile threat is not limited to ballistic missile launches from Iranian territory, nor platforms that are capable of carrying a nuclear payload. Iran’s dispersal of ballistic missiles and rockets to various actors in the Middle East is designed to limit the options available to security planners against Iran while simultaneously strengthening local forces that wield these weapons on behalf of Iran in key Middle Eastern conflict zones.